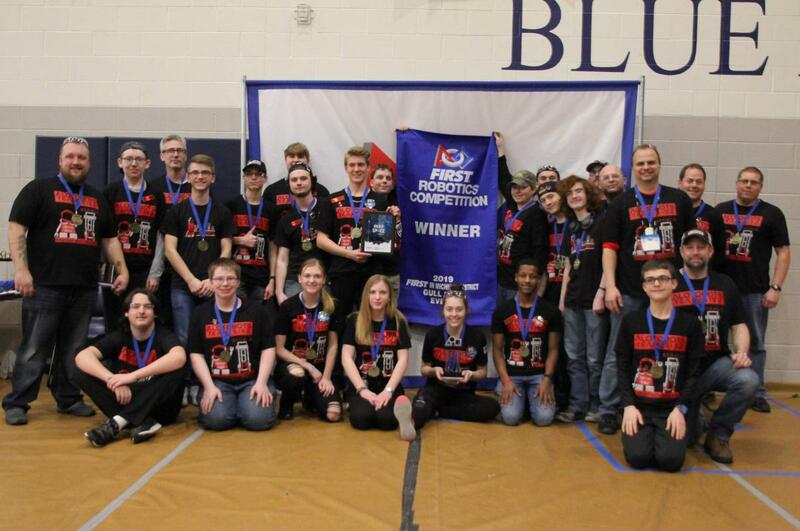 The Alotobots earned the coveted blue banner and are bringing back to OHS as winners of the FIRST Robotics competition in Gull Lake. At their second and last regional competition of the year, the Alotobots put everything they had into the two-day competition. They struggled at the St. Joseph contest the week prior, but students worked hard to make changes to the robot as well as doing more driving and scouting. “It was a total team effort that resulted in their first "Blue Banner" for Alotobots,” coach Michael Miller says of their Gull Lake performance. The Alotobots, now in their 5th year at OHS, finished 2nd after qualification matches by only .08 points. 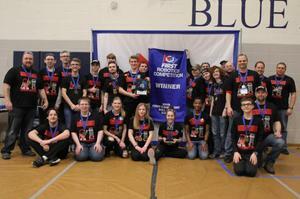 They had a record of 10-1-1 and were selected by the number one alliance for the playoffs. They then went 6-1 in the playoffs to capture their first blue banner with alliance members: Team 3538 - RoboJackets out of Auburn Hills, Michigan, and Team 6120 Cyberstangs out of New Haven, MI. With this win, the Alotobots earned enough points to qualify for the State Championship at Saginaw Valley, April 10th-13th. They are now fundraiser for their trip to State and you can help simply by test driving a new car! They're holding a Ford Drive 4 UR School fundraising event on Saturday, April 20th, at the OHS parking lot from 10am-3pm. Ford Motor Company will donate $20 to the team for every driver (one per household) who test drives a car. No purchase necessary!